Join us for the Joseph Nee South Boston Collaborative Center's Spring Fundraiser at the beautiful Lawn on D. The event will feature the presentation of the Community Hero Award, music, raffles and more! Come support the community and celebrate springtime in South Boston! Ticket info and event schedule coming soon! 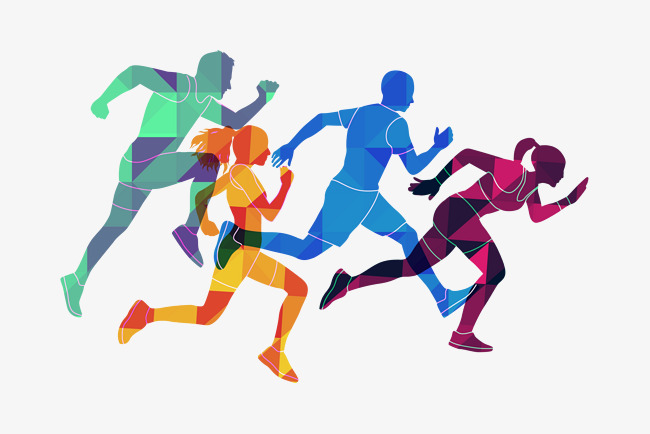 The Collaborative is excited to partner with The McCourt Foundation for the 2nd Annual Waterfront 5K Fitness & Wellness Festival on Sunday, June 16, 2019. The family-friendly event will feature a 5K race/walk with scenic views of the South Boston Waterfront with youth events and Reebok led classes! Post race celebrations include an expo featuring live music, food, a Harpoon Beer Garden, prizes and more! Visit our fundraising website for more information on how to get involved and support Team Collaborative! Congratulations again to George McEvoy and Dennis McLaughlin this year’s recipients of the Darlene Sheehan Beacon of Hope Award. Thank you to those who contributed to the the Joseph Nee South Boston Collaborative Center and making our Annual Comedy Night a success! The Collaborative is excited to partner with The McCourt Foundation for Boston's Waterfront 5K and Fitness Festival on June 17, 2018. The event will feature a 5K race/walk with scenic views of the South Boston Waterfront with youth events and Reebok led classes! Post race celebrations include an expo featuring music by Dalton and the Sheriffs, food, Harpoon, prizes and more. Visit our fundraising website for more information on how to get involved! Come celebrate the Derby and support the Collaborative while you're at it! Call 617-534-9500 for more information. A big congratulations to all who ran in the 2018 Boston Marathon on 4/16 during one of the worst weather years the marathon has ever seen! The Collaborative's annual Comedy Night Fundraiser is quickly approaching! This year, in addition to some great comedy, we will present the Darlene Sheehan Beacon of Hope Award to State Representative Nick Collins. Tickets are $25 per person and may be purchased ahead of time by calling/visiting the Collaborative (617-534-9500 @ 1226A Columbia Road), or day-of at the door. 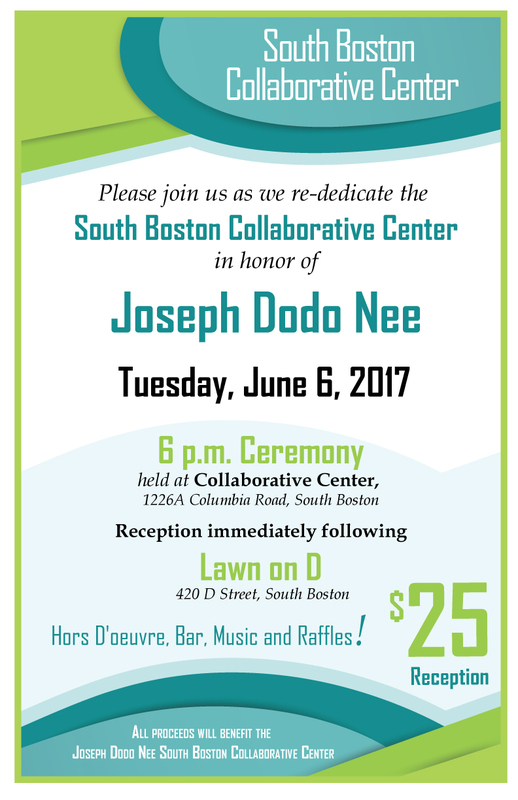 The South Boston Collaborative Center is pleased to announce its renaming in honor of Joseph "Dodo" Nee. Please come celebrate with us! The re-naming ceremony will take place at the South Boston Collaborative Center (1226A Columbia Road), and a ticketed reception will follow immediately at Lawn on D (420 D Street). All proceeds will benefit the Joseph Dodo Nee South Boston Collaborative Center. For information on the event and to purchase tickets, please call the Collaborative at (617) 534-9500.